Claire works as an Education Officer at The Tank Museum. Thanks to funding from the Dorset Museum Association, which helps to provide days out for JET; Claire is able to use her time engaging with young people. 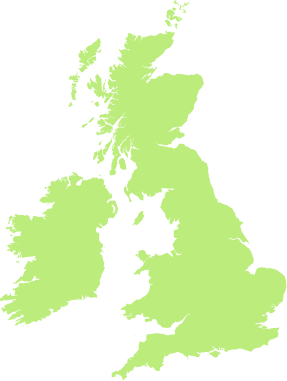 I found out about the Jon Egging Trust through Kaye Jackson, Youth Liaison Officer – Dorset. I used to teach her son many years ago and she approached me about bringing a group to The Tank Museum. The death of Jon Egging at the Bournemouth Air show was local knowledge and I was heartened that the trust wanted to turn such a tragic event in to something so positive. I’ve had a lot of illness in my life which could have held me back academically, but I have powered through and now have a successful job in education which I adore. My teachers at school supported me and gave me extra help when I needed it. It would have been very easy to give up and lose heart so I couldn’t have done it with them. My family and friends are always there for me. To cheer me up or lend an ear and to give me all the confidence I need in life. 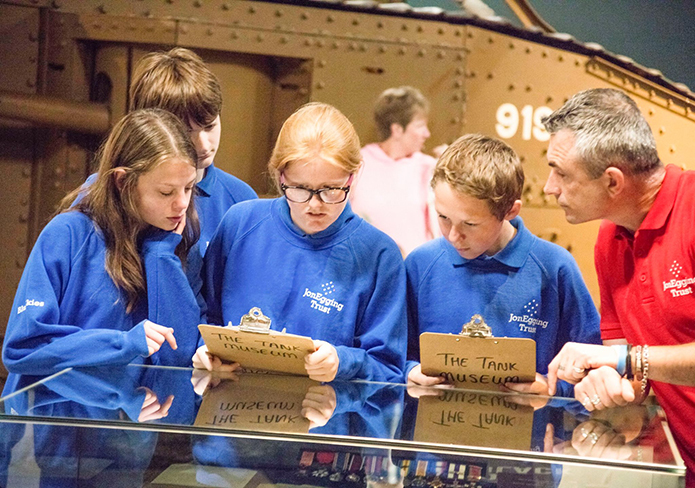 Whilst at The Tank Museum the children learn about how tank crews work together by using remote control tanks. 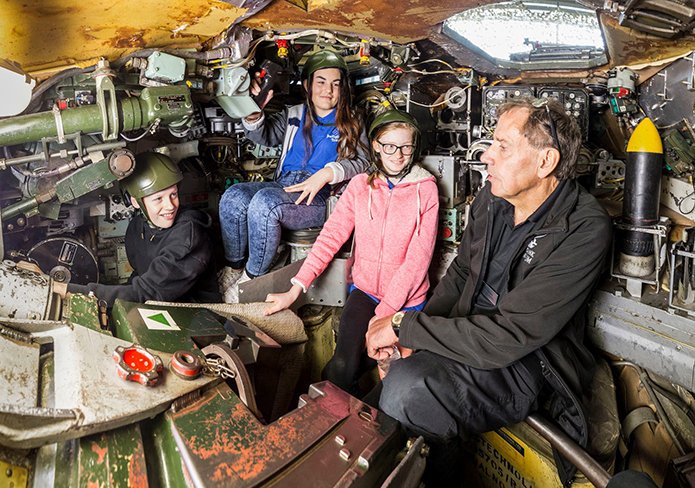 They also climb inside a Chieftain Main Battle Tank to hear how tanks communicate with other tanks during battles. 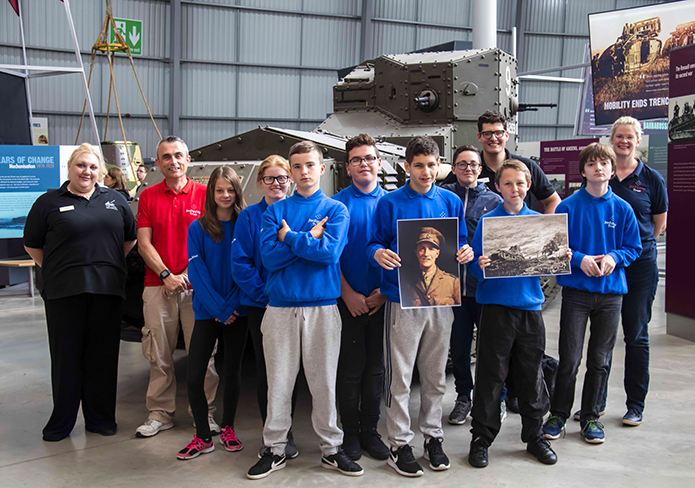 Children are inspired by real stories of men who won medals during the First World War and have to use leadership skills to build a Lego tank to drive around an obstacle course. In 2017 I watched some of the children rehearsing for their graduation. They were very quiet and looking down at their feet. By the graduation they had gained so much more confidence and were looking up at the audience and sharing their experiences. It was wonderful to see. JET inspires children with communication skills and confidence. Both of which are essential for a fulfilling life. Hopefully with continued funding from the Dorset Museum Association we will continue to provide days out for JET for as long as possible.